The two of us look very pleased: a good specimen must have been involved! 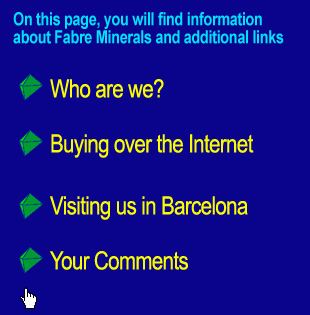 Fabre Minerals - Who are we? 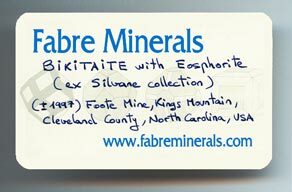 Fabre Minerals specialize in high quality mineral specimens from Spain, Portugal, France, Morocco, China, Romania, the USA, and other worldwide localities. It is owned by Jordi Fabre (for your information Jordi is Catalan for George). I started in the mineral business over 40 years ago, sharing the work with my studies in Biology as well as with another job: printer. In those very busy days I mainly sold quality Spanish, Portuguese, and Moroccan specimens. This was all done with the help of my brother Francesc, and it involved taking things on as part of a pleasant game, full of nice trips and unusual situations as I followed the trails of the wild deals with the, just as wild, miners. 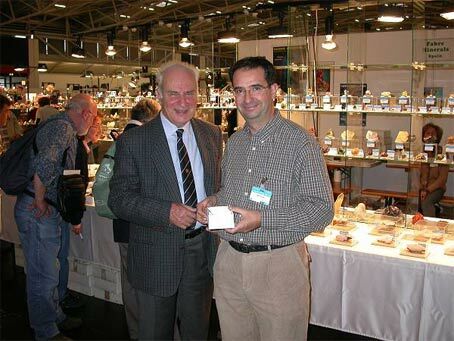 During this period of my life I had the unbelievable chance to have in Barcelona one great gentleman: Don Joaquin Folch Girona, who back then was one of the world's best private mineral collectors. He looked after me and tolerated my young, crazy inexperience teaching me about a lot of things, always with his quiet "old style" and always with a tolerant smile on his lips. As it is easy to imagine, I learned a lot from him about mineralogy during those years, and I also was rewarded with his friendly companionship. After he sadly died, I took a break for a while from my relationship with minerals, but quite quickly I decided to renew my passion as well as my business. I decided to aim for a more ambitious and professional kind of material, so I expanded my purchases into a far wider range of great localities with special focus on American minerals. During the same period I started to exhibit at the major shows, although now I only go to the two largest international ones: Munich (Germany) and Tucson (USA), and three Spanish Shows: Barcelona (MineralExpo Sants and Expominer) and Madrid (Escuela de Minas). 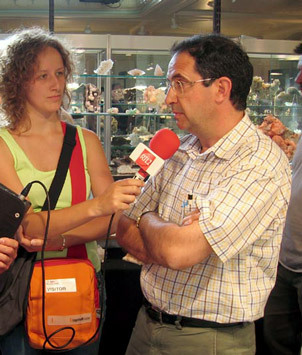 Spain in this period of the world's mineralogical history was like a desert, without significant collectors, without decent mineral Shows, and without any real mineralogical tradition. That said it was also the age of the great Spanish finds: Aliva mine gemmy Sphalerites, the best Eugui Dolomites, great La Collada and Berbes Fluorite, and many others. So, slowly, using good examples from these finds, I managed to gain access to the US market, mainly at the Tucson Show, where over a few years I moved through various different rooms of the Executive Inn Hotel, as well as the Main Show where I exhibited for two years. After this introductory period, finally I got an excellent location: the Lobby of the Executive Inn Hotel (The "Fishbowl"). This was a place where no one had ever exhibited before and where over the years I met many collectors, museums, magazines, and, in one sense, the "crème de la crème" of the mineral world. In 2005, due to remodeling at the Executive Inn, I decided to move to the new Hotel Clarion, where I was during 2005 and 2006. However, due to remodeling at the Clarion, I decided to move again to a more stable base: so from 2007 to 2016 I was in room 164 of the classic Hotel Inn Suites and in 2014 I also displayed in the Westward Look Hotel. Finally, in 2016, I decided to concentrate my efforts during Tucson on purchases, so after lots and lots of thought I stopped all selling from rooms. So, something that was started just as a hobby that I shared with my passion for trips has grown slowly until now, and I have behind me a lot of deals, a lot of experiences, a lot of knowledge, and, best of all, a lot of friends. All together this has helped me to obtain more and better specimens from my classic sources as well as from other new sources, such as the private collections that I acquire as often as I can, or from new finds that I get from the people working for me in mines, thus trying to select "on the ground" the main novelties. Also I get from time to time some extremely unusual specimens due my good relationships with several significant Museums, the only practical source for some extremely scarce specimens. In 1996 attracted by the Internet technology I started my own web site. It was really one of the first of the worldwide Internet dealer web sites aimed at selling mineral specimens on-line, and clearly the pioneer of the European Internet dealers. When I started it I just considered it to be a complement to my regular sales, but it grew more and more, nowadays becoming one of the more important sources of sales. So on the Web you will find our latest selection of quality collector specimens, all of which are for sale. These pages currently represent a good sample of our more interesting stock. In September 2006 our web site reached its 10th anniversary, so to celebrate this we published a special commemorative page that you can view by using this link. 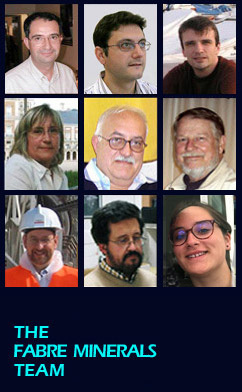 In it, apart from proposing special labels for Internet clients and starting a discussion forum, we showed the Fabre Minerals' planetarium, that is to say the 'who is who' of Fabre Minerals. We have provided information on specimens from around the world for collectors searching for high quality additions to their collections. We hope that you enjoy the images available and find what we have to show you of interest. If you do, see this link for how to order. We have also included some of the comments we have had from our clients about the specimens they have received and how well they were shipped. See these on our clients' and visitors' comments page. Finally, we have also included a lot of useful mineralogical news on the mineral information page. 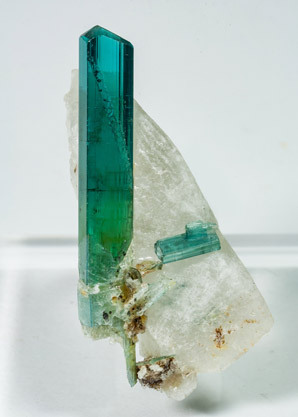 I have tried to build a useful, clear and instructive web site, where everyone can surf to see examples from most of the world's best mineral finds, well classified, with good explanations. If you wish to purchase some specimens from them, then great, but if not, I am also pleased if through your visit you enjoy them and became more interested in the mineral world. I would like to create something that I can show proudly to my young daughter Alba, watching as her eyes widen and shine with the mineral magic. You could send us an e-mail to or use our order form, indicating what specimens you're interested in (mineral, price and locality). Please, let us know where you are from (i.e the Country). We will immediately reserve and hold your specimens. We will generally send a reply within 24 hours (~or so~) to indicate the total amount of your purchase order. Specimens will be held for 2 days awaiting your agreement, unless you advise us that you no longer want them. Shipping and handling included in these rates. Special exceptions may be applied, such as shipment of large, heavy, expensive or several specimens. *Depending on the parcel weight. The package will be sent by courier. An extra charge will be added to the total amount of your order, according to the actual rates. 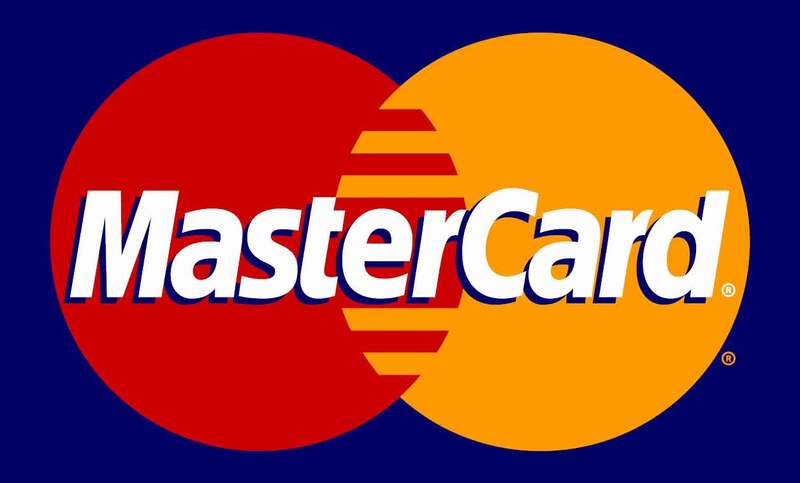 as it appears on the credit card, the card number, expiry date and your mailing address. Once we receive your check or money order (or ´we make the credit card charge), we'll package up the specimens and send them via the Postal Service or Fedex / UPS, as agreed. 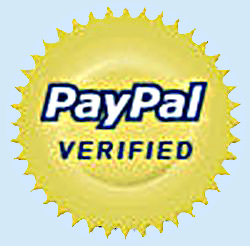 All established customers orders will be filled immediately upon receipt of the check or processing of the credit card order. Please, remember your mailing address! which are exclusive to our Internet customers. Based in Europe, but you can return the specimens either to us in Spain or to colleagues in the USA or Japan - whichever is easier for you! 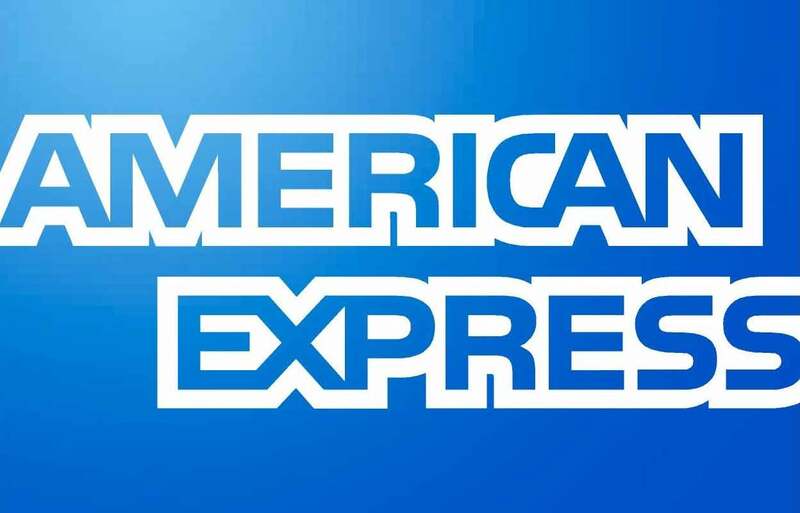 This will mean returns easierfor our US and Japan clients. You should, however, still order through us. If you receive anything that you do not want to keep you have a 15-day return period. If it arrives damaged or if you just can't develop a good relationship with the specimen... in other words, if you and the rock don't get along, please send it straight back to me in Spain or to Rob Lavinsky in the USA or Key's in Japan, if that is easier for you. Once I (or they) have received the specimen in the condition that it was sent in I'll return your money, less the shipping costs. If the specimen is not back here in Barcelona or with Rob (USA) or Key's (Japan) within 30 days (thus allowing 15 days for return shipping) of your receipt of the specimen, I will assume that you are intending to keep the specimen and the transaction will become final. Do you want to visit us in Barcelona? It is not located downtown but it is not too far away either (about 15-20 minutes by cab). Feel free to use this interactive map. Your Comments. Do you want to receive our Updates? We would like your feed back on our web pages, so that we can improve them in the future. Also, if you give us your e-mail address we will keep you informed when we update our page. Please fill in the form on our feedback page. updated as new specimens are added. I received your minerals today and I am very satisfied. The packing was excellent and they arrived in good condition. 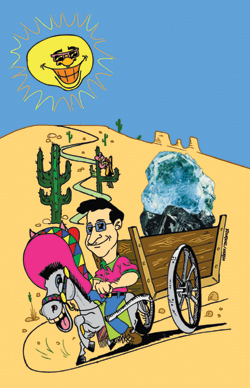 It is good to know that I can purchase minerals from Spain just as easy as from the west coast of the USA. The whole transaction was fast, friendly, and efficient. Keep up the good work!